About.com posted their Days of our Lives comings and goings for the week of October 1st. You can read them here. 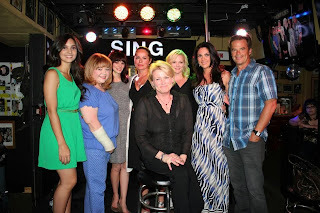 Diva's #Days 151st Blogtalkradio Show! Peter Reckell Interview Archive Ready! Drake Hogestyn Back on #Days! Diva's 150th #Days Blogtalkradio Show! Diva's 149th #Days Blogtalkradio Show! #Days Arianne Zucker Live Tweets at 1 pm est! #Days Actors on "The Better Show"